For anyone looking for their first VAST Satellite Set Top Box or wanting to update their outdated version, the new VAST DSD 4921 RV has just been launched and is one of the best set-top boxes on the market, specially designed for Caravans & RV’s. The UEC DSD 4921 RV is a “Next Generation” VAST™ Certified, Twin Tuner, High Definition, and Digital Satellite Set Top Box packed with new technology, features, and accessories, including a twin tuner configuration which allows for a suitable recording device, (not included) to support PVR functionality. UEC’s hardware and software ensure the receiver is ‘future proof’ by using the latest technology and over the air software upgrade. There are no photos with those IDs or post 12212 does not have any attached images! The hardware is designed to withstand the harsh Australian environment that recreational vehicles are likely to experience including high temperatures, DC over voltage, reverse polarity, and short circuit protection. All of these features are housed in the smallest VAST™ receiver on the market, making it the perfect solution for Caravan and RV enthusiasts wanting to watch and record their favourite programs whilst traveling. The unit is supplied with everything you need to be up and running in no time and also includes a tv EYE™ extender for installation into units or cabinets. The DSD 4921 RV is Hybrid Broadband TV (HbbTV) Ready, which means it is ready to go with all key software features to support Freeview Plus once available on the VAST™ platform. What makes it ideal for Caravans & RV’s? Size. The unit is much smaller than it predecessor, making it more suitable for Caravan and RV installations. The remote tvEYE means the main unit can be concealed in cabinetry, but you can still operate it without directly having to access the unit. It is supplied with a 12v DC cigarette lighter cable for easy installation which means you do not have to hard wire it in. It has a 12v DC power available indicator to verify presence of voltage. Supply is protected by a fast blow 3 Amp Fuse. It has Low power consumption, ideal for use when your caravan or RV is off grid. What makes it beneficial for travellers? The DSD4921 inbuit help function steps through a travellers guide to set up and point the dish. The first-time installation wizard to guide a new installation: screen resolution, time zone, signal scanning, recording device.Fast, easy navigation and user-friendly operation. 8 day EPG and easy to use onscreen display. Colour coded rear panel to facilitate easy in DIY installation. Large key, ergonomically optimized high quality remote control. National, proven after sales and support capability with over 20 years market experience for peace of mind when travellers are on the road. Altech has been in the industry for over 20 years and are VAST certified. Based on cutting-edge technology: 2k Dmips processor, Uni Cable ready and HEVC support with easy to detect LED indicators. 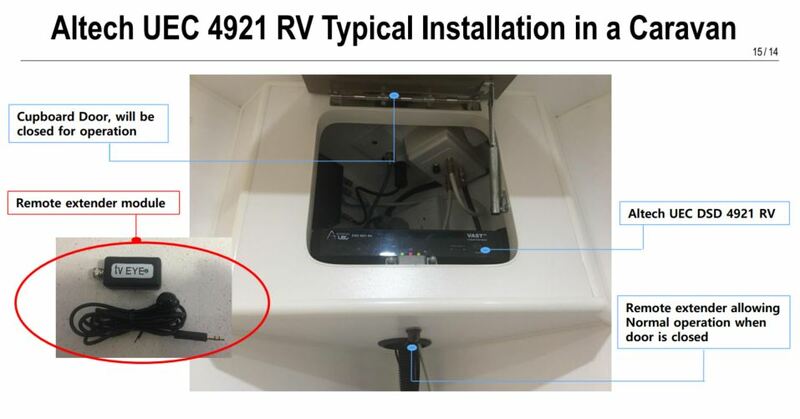 The DSD4921 help steps through a travellers guide to set up and point the dish. 12 volt power plug pack with LED indicator for easy fault diagnostics. Single input Twin tuner PVR ready functionality – chase play, trick modes, fast forward, rewind etc. Watch one record another and playback a third event simultaneously. Over the air and USB upgrade capability to ensure your unit is up to date with the latest software at all times. VAST smartcard fitted to all units at the time of manufacture. 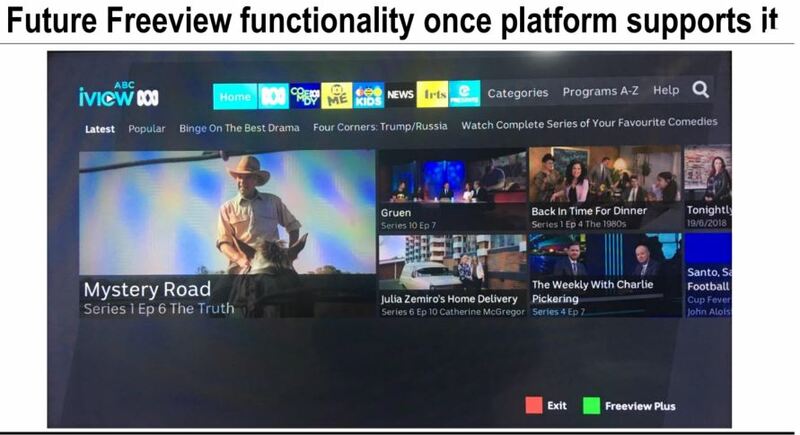 Future support for HBBTV catch up TV once supported by the VAST platform. If you require a complete Satellite Kit for your Caravan or RV, head on over to our full article about SATELLITE TV KITS FOR MOTORHOMES & CARAVANS. This is a step by step guide on how we selected NAS as our Satellite Distributor and included a breakdown of what is required and also instructional videos on how to set up a complete system. Buy in our online shop. If you want your unit now, you can purchase the new Altec UEC DSD 4921 RV Separately or as part of a complete Satellite Pack from the Free Range Camping Shop.